For those institutions interested in fast implementation of a National Spatial Data Infrastructure, the availability of a collective catalogue or ClearingHouse is essential. It requires in turn the generation of metadata, its hosting and appropriate rendering. The service should run 24x365,and it must look like a local service of the local operator. 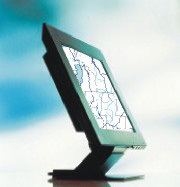 TheDigitalMap Ltda. offers a complete service, including creation, edition, hosting, etc. for all the geographic metadata, and also the database searching through suitable links in the local operator's WEB page.